Chef Thomas Pardo has a passion for everything handcrafted; whether it be craft beer or artisan food. The passion for the foodservice industry is in his blood, his grandfather was a restaurant owner, and he is proud to carry on that legacy. 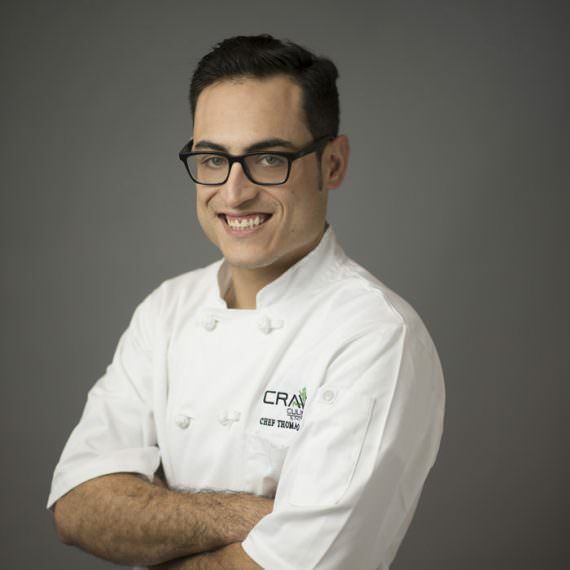 He started honing his craft following his graduation with honors from Johnson and Wales University in 2010 with a degree in Culinary Arts and Foodservice Management. Born and raised in Massachusetts; he has worked in a variety of fine dining establishments ranging from locations on Cape Cod, VIP catering for the New England Patriots, to Eastern Standard Kitchen and Drinks, a downtown Boston mainstay, just blocks from the iconic Fenway Park. Continuing to follow his passion; Thomas moved to Colorado where he helped run a farm to table restaurant and worked under Top Chef Winner Hosea Rosenberg, diving into the world of charcuterie. In his spare time he has a passion for craft beer; experimenting with new and different recipes while homebrewing or enjoying local breweries.